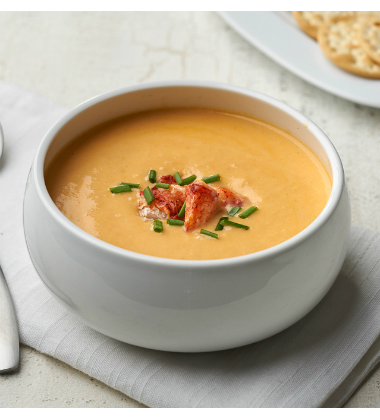 Made with tender pieces of lobster, fresh cream, real butter and laced with sherry, this bisque is an indulgent classic. 1. 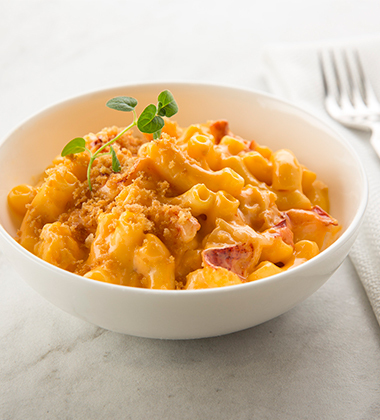 Thaw Campbells® Signature Macaroni and Cheese and Campbell's® Reserve® Lobster Bisque with Sherry according to package directions. 3. 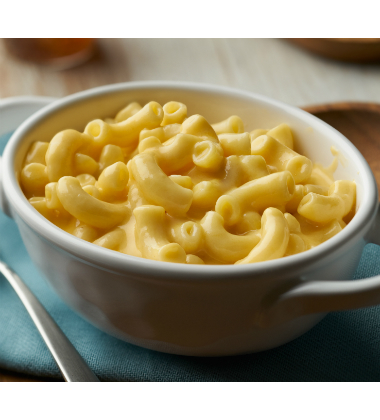 In large bowl, mix together thawed macaroni and bisque pouches. 4. Place lobster meat evenly on top of filled casserole dish. Reserve. butter, melted	 2 oz. 8 tsp. fresh oregano leaves, individual sprig(s), halved	 16 ea. 1. In medium bowl, toss panko, melted butter, salt and pepper. Sprinkle evenly over top of lobster. 1. Using 1- #8 scoop, portion 1/2 cup into bowl. Garnish with 1/2 sprig of oregano. Serve immediately. butter	 1.5 oz. 8 tsp. fresh oregano leaves	 16 ea. For extra color, garnish with a fresh sprig of oregano.